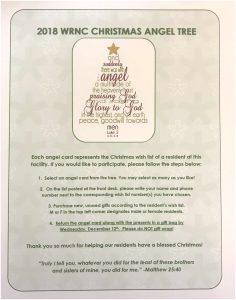 Washington Care and Rehabilitation will celebrate its 4th annual Christmas Angel Tree. 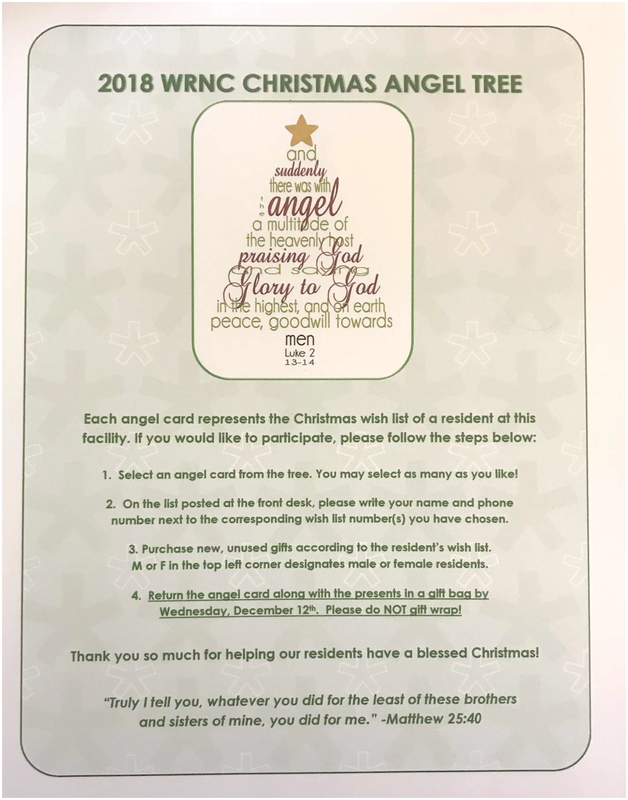 Please stop by our facility for a visit and find angel trees located at the reception desk. Please have your gift dropped back off by December 12! Santa will be delivering on December 21st with his traditional therapy elves!